MavCore 3D Animation Magazine is a publication dedicated to all areas of the independent 3D animation industry, including animation, modeling, writing, voice talent, and educational resources. Digital version is FREE to download or view, no purchase is necessary. 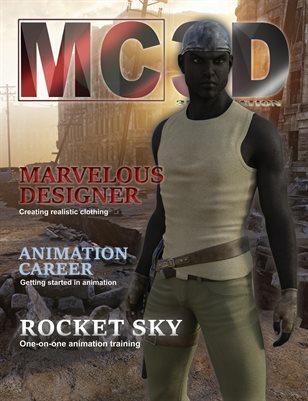 In this issue: Marvelous Designer, Trinity3D, TruForm, 6 Feet, Rocket Sky, Two Worlds, and more.